Choosing the right compost is key when it comes to sowing and growing food in your polytunnel garden. Compost can be used as a growing medium for container plants, for seed containers and as a mulch/ fertiliser in polytunnel growing areas. But many composts that can be bought in the UK are harmful to the environment. It is a good idea to look into alternatives to peat based compost for your polytunnel garden. Peat is organic material that has very slowly, and in specific conditions, rotted down over the years. Its rich, organic make up means that it is an ideal growing medium for hungry seedlings. It is extremely fertile and holds water well, meaning that it found a large following amongst keen gardeners as a potting medium. Many composts and seed growing media commonly sold in garden centres contain this natural material. Why Should We Look For an Alternative to Peat Based Compost? Peat is being taken for gardeners at a much faster rate than it can naturally be replaced. The problem is that peat only forms very slowly, perhaps around 1mm per year at most. This means that the valuable carbon sinks that peat bogs provide are being eroded, which allows more carbon and other greenhouse gases to linger, loose, in the atmosphere. This contributes to the massive problem of global warming. If we are to transition to a more sustainable age then we will have to eliminate our unnecessary use of peat as part of our efforts as gardeners to contribute to a more ethical and environmentally friendly solution to our global problems. What Are the Alternatives to a Peat Based Compost? The good news is that although peat is excellent as a growing medium, increasingly, green alternatives are available that can deliver results that are just as good. Materials that are being used to make peat alternatives as a potting medium and mulching material include bark, fibre, coir, biosolids, bracken and green compost. 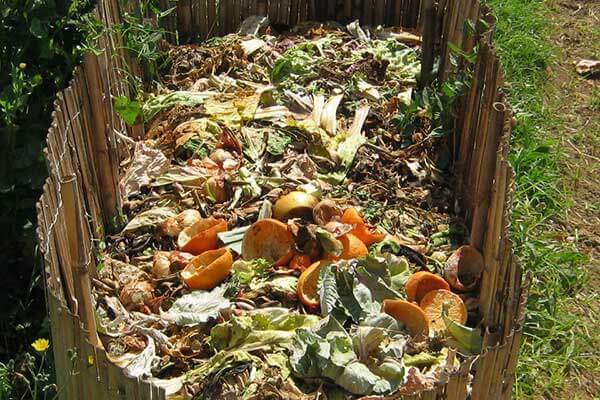 Of course, making your own compost in your own garden is the most eco-friendly option of all. Check out our handy guides and articles to find out more about making and using compost in your polytunnel. Comparative experiments have shown that most plants will do just as well when grown in peat alternatives as they do in peat. The key for polytunnel gardeners switching from peat to non-peat alternatives is to try out different options and carry out their own small tests to see which one works best for their own purposes, in their own situation. Let us know how you are getting on without peat based composts in your polytunnel in the comments below.